Hello and happy weekend everyone. I want to share with you some useful tips to avoid staining your teeth. As we know, a healthy white smile is important to cause a nice impression. We do not want to scare people away thanks to a pair of yellow teeth. 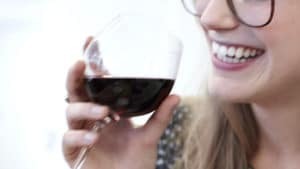 So to preserve our teeth really healthy and avoid a bad stained smile let’s see what habits will be nice to avoid so you can smile more confidently. First of all, dental hygiene is key to get the smile of your dreams. If you do not perform a good consistent dental hygiene routine your teeth will pay the price. So for starters, aim for a good dental hygiene routine. 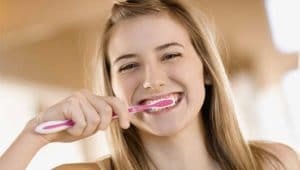 You can start by brushing your teeth at least twice a day, especially after every meal. After that use a little dental floss to clean between the teeth and mouthwash to leave the house with a fresh breath. I always suggest our patients to look for the best products available when it comes to oral care. You can know if the product you buy is good quality by searching for the ADA seal of approval. You can find them in any pharmacy or store, but if you wish to find great deals, maybe you should look in some pharmacies in Los Algodones. These products will always help your smile to shine but most of the time that alone won´t do it. To take good care of your teeth you should see your dentists at least twice a year for regular checkup and cleaning. Here at Dental Solutions Los Algodones have great prices and quality dental for any patient’s need. We work with a complete staff fluent in English and up to date equipment. Now let´s see what habits are really bad for our teeth. Stained teeth can be caused mostly by the food we eat. Keeping track of the food that can stain our teeth easily is a must if you want white teeth. The enemy number 1 I should say is sugar, because it wears down the tooth enamel. And you should know that the enamel serves as a protective coat for bacteria. Without it our teeth are exposed to diseases and are easily stained. This leaves us with our next pint, alcohol. Alcoholic beverages are really bad for our teeth because they are really abrasive with the enamel. Especially wine, as it can leave your smile stained really easily. Coffee and sodas are bad for your teeth also, they are delicious but they can stain that smile of yours. Basically you want to avoid anything with artificial colorant and lots of sugar. I know is hard, but discipline is necessary for achieving a healthy smile. Instead you should drink more water, at least 6 glasses a day. That will stimulate the saliva production of your mouth, protecting your teeth against germs and bacteria. Fruits and vegetables are good for your teeth health. lIke apples and carrots, they can be a good cleanser for your smile and the natural sugar won´t leave your teeth that stained. In fact it will leave you with stronger teeth. That is all for today, I hope these tips can serve you pretty well for you to avoid stained teeth. Remember to always keep the dental hygiene and if you want to save up to 70% in dental make sure you contact us to know more about prices and make an appointment ahead of time. Keep up the good work and see you next article!